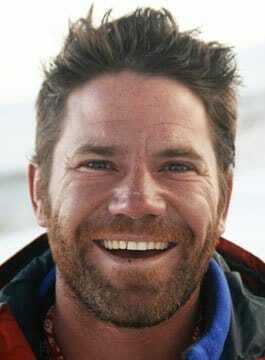 Steve Backshall is a wildlife expert who fronts the CBBC Deadly series, most recently travelling the world to film Deadly Pole to Pole, Deadly 60, Live and Deadly, Deadly 360 and Deadly on a Mission. Steve is hugely popular with young TV viewers, who are both terrified and delighted to watch his encounters with extraordinary and inspiring predators. The success of the television series led to Deadly Days Out, a BBC series of events bringing live animals to locations across the UK as well as several sell-out theatre tours. Steve is a prolific author, having published over 10 books. His adventure fiction series the Falcon Chronicles so far comprises of three novels for young adults; Tiger Wars, Ghosts of the Forest and Wilds of the Wolf. Steve’s extreme adventures include being part of the BBC’s Lost Land of the Tiger, Lost Land of the Volcano and Lost Land of the Jaguar. He made the first descent into an unexplored sinkhole for BBC One’s Emmy-nominated epic Expedition Borneo, and trekked into the heart of America’s most inhospitable terrain for Discovery’s Expedition Alaska. Closer to home, Steve has presented Britain’s Lost World, Extreme Caving, Inside Out, The Nature of Britain, and The Really Wild Show for CBBC. As an inspirational public speaker Steve presents on a range of wildlife, conservation, exploration and adventure topics. Steve’s latest presentations feature his extraordinary adventure into the lost Guyanan jungle, the urgent conservation issues his journey has raised and the thought-provoking lessons he learnt from his climbing accident. Steve’s fascinating experiences along with his warm presentation style combine to make an engaging and entertaining event for all types of audience from business to educational.